Spanning the late Porfiriato to the end of the Cardenista reforms, this is a multifaceted exploration of the production of visual narratives that offered competing interpretations of gender, class, nationalism, and internationalism that came to define modern Mexican identity. 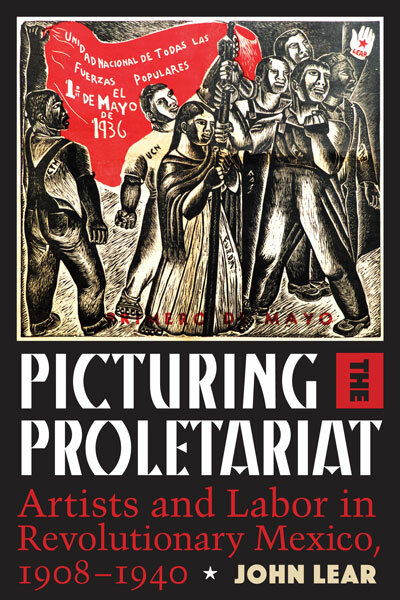 This interdisciplinary book explores the gendered representations of workers; the interplay of prints, photographs, and murals in journals, in posters, and on walls; the role of labor leaders; and the discursive impact of the Spanish Civil War. It considers “los tres grandes”—Rivera, Siquieros, and Orozco—while featuring lesser-known artists and their collectives, including Saturnino Herrán, Leopoldo Méndez, Santos Balmori, and the League of Revolutionary Writers and Artists (LEAR). The result is a new perspective on the art and politics of the revolution. JOHN LEARTacoma, WashingtonLear is a professor of history and Latin American studies at the University of Puget Sound. His publications include Workers, Neighbors and Citizens: The Revolution in Mexico City and Chile’s Free Market Miracle: A Second Look.